Ptilometra australis is a species of sea lily which has no common name that I am aware of. Like many other sea lilies, they superficially look more like plants than animals, wut animals they are.They are filter feeders. Their appendages bear long thin filament which are used for trapping food. They have a stalk which in most sea lily species is long and slender but is reduced in this species. The stalk anchors them to the ocean floor. Ptilometra australis is found off the coast of Eastern Australia. They are found from fairly near the surtface to depths of over 100m. 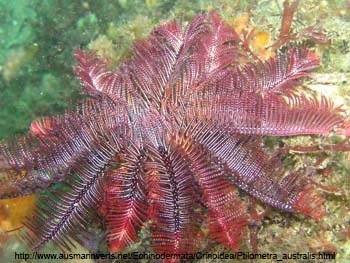 Sea lilies are echinoderms, the same phylum as sea stars, sea urchins and sea cucumbers. 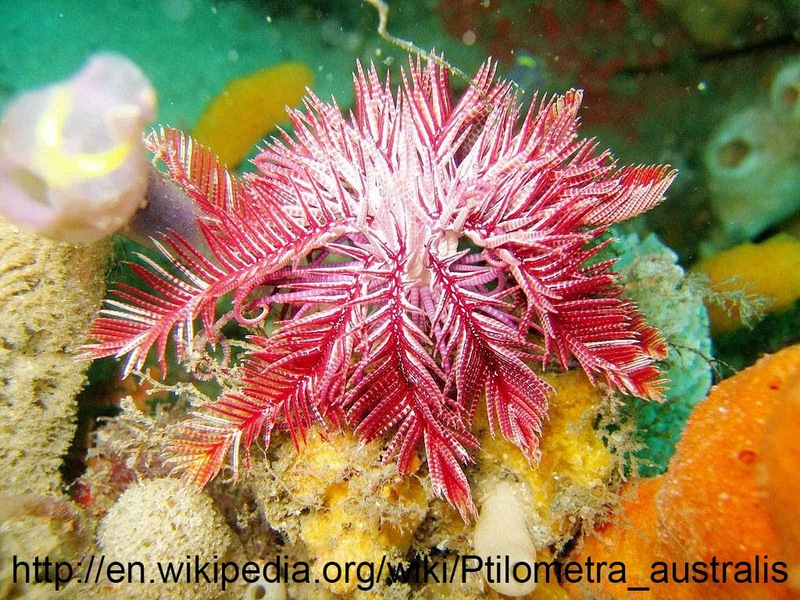 Sea lilies are members of the order Class Crinoidea, a group which used to be much more diverse. Articulata is the only subclass which survives.